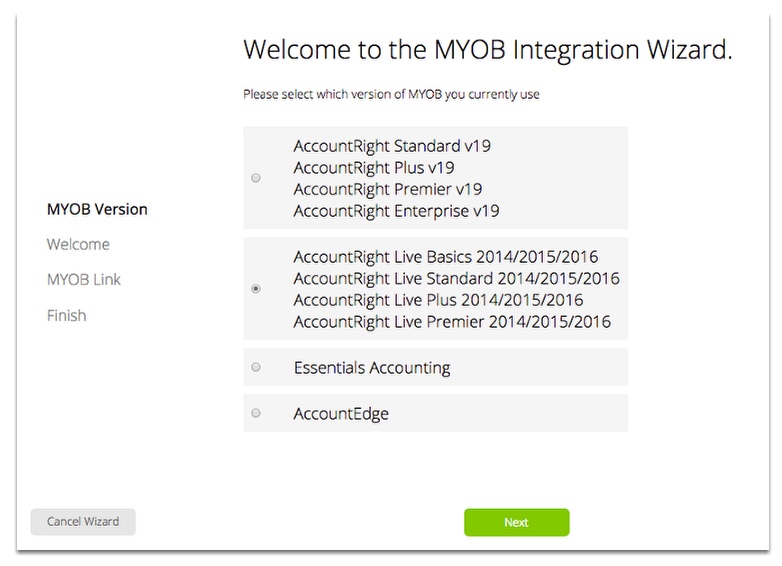 This lesson will show you how to start the MYOB integration wizard. 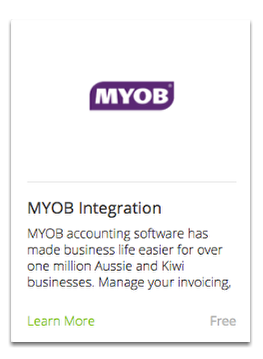 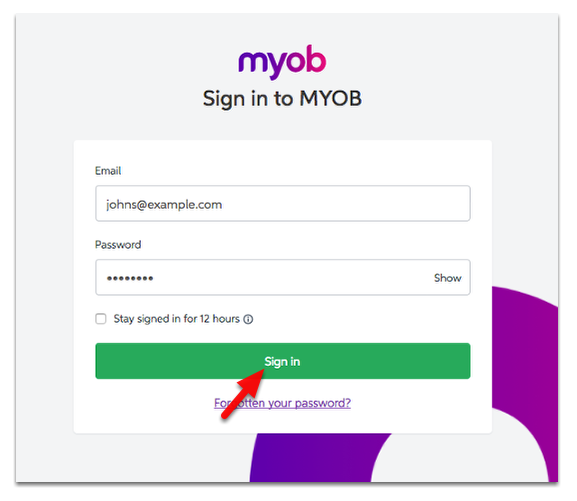 Select the MYOB product and version you're using. 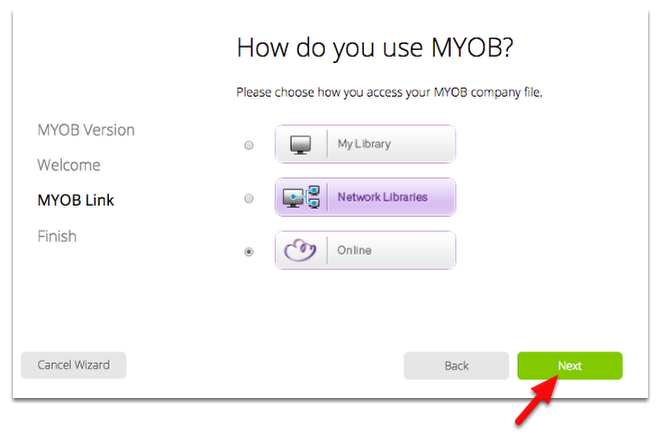 For this example, we are going to choose AccountRight Live version. 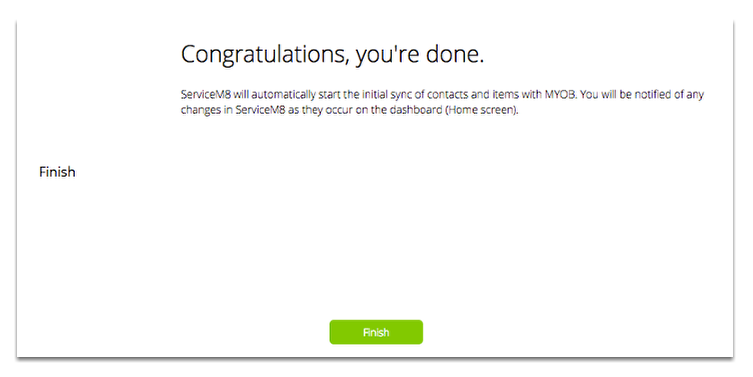 We will use Online company file and click Next. 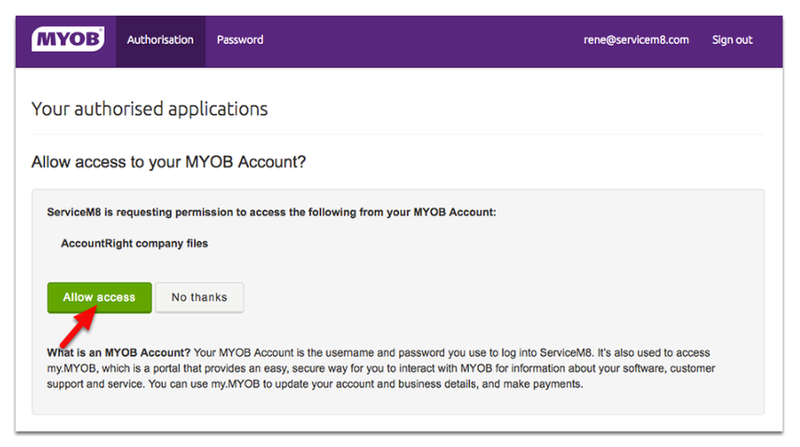 For more info on how information between MYOB and ServiceM8 Syncs click here.